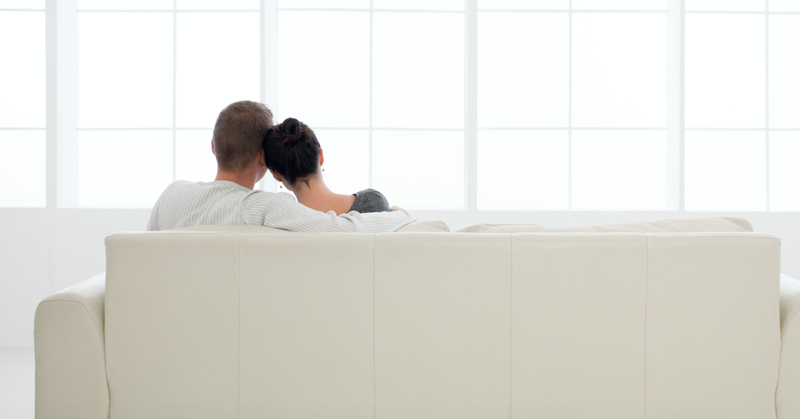 Greater Comfort Heating and Air Conditioning is available to help keep you warm this winter. If you need emergency heating repair in Hebron Kentucky or the surrounding area, we are the company you can depend on. Our heating repair specialists are factory trained and dealer authorized to work on every major brand of heating system. We can get yours up and running quickly when you need it. Whether your system is not producing enough heat for your home or you notice an increase in the cost to operate your system, we can fix the problem. We work on most makes and models of heaters,broilers, furnaces, heat pumps and geothermal systems. We offer 24-hour emergency heating repairs in Hebron Kentucky and all of the Northern Kentucky area. No matter what time of the day or the night, one of our highly trained service technicians is available to come to your home and help resolve any issue you may be experiencing with your HVAC system. You can depend on quality service and repairs when you call Greater Comfort. We have found that people usually experience heater problems requiring repairs during the most inconvenient times. It may be one of the coldest nights or while you have company over or your expecting a crowd. We also realize that your heater runs all day and night and so we are just a phone call away when your system is having trouble and you need help. Greater Comfort Heating and Air Conditioning has a good reputation. You can find out for yourself why many people consider Greater Comfort their only HVAC company and the company they would call in an emergency. Greater Comfort is one of the oldest heating and cooling companies in the Northern Kentucky area. We have been providing HVAC service to the tri-state area for over 60 years and we are dedicated to offering you the best customer service and expert care around. When you need the help of an HVAC company during an emergency, you can depend on the quality of service you receive at Greater Comfort Heating and Air Conditioning. We also offer routine maintenance on your heating and cooling system to ensure you don’t need repairs as often. Call today and let Greater Comfort Heating and Air Conditioning take care of your Hebron Kentucky Emergency heating repairs. Leaking is one of the few problems that boilers encounter during their long lifetimes. Because boilers have fewer moving parts than most heating systems, such as furnaces and heat pumps, they do not wear down as fast and consequently need less repair work done. Leaking, however, can occur, and when you find it happening with your boiler, don’t delay calling for professionals to repair it. For service on boilers in Alexandria, KY, Greater Comfort Heating & Air Conditioning, Inc. ® is one of your best resources. We started business in 1988, and we are always committed to providing the best repair and maintenance services possible. Water on the floor near the boiler tank: The most obvious sign is discovering water around the boiler. Unless there is another possible source (such as water entering the basement after a hard rain), then the boiler is the likely cause. Rust and corrosion on the tank: Sometimes the water leaking from a boiler will quickly evaporate because of its heat, making it hard to notice. But the increase in moisture can cause corrosion to develop along the tank—and the moment you see any corrosion or rust along a boiler, you need to call for repairs right away. Corrosion will spread, and if left alone, it will eventually eat away at the metal of the tank and you will need to replace the whole tank. The boiler is constantly running: If one of the hot water lines from the boiler starts to leak or even breaks, the boiler will try to compensate for the heat loss by running continually to replace it. Hot water lines tend to break more often because they expand from heat, and they are the main reason for a boiler that runs all the time. Regardless of what is causing the boiler to run this way, it needs repairs. 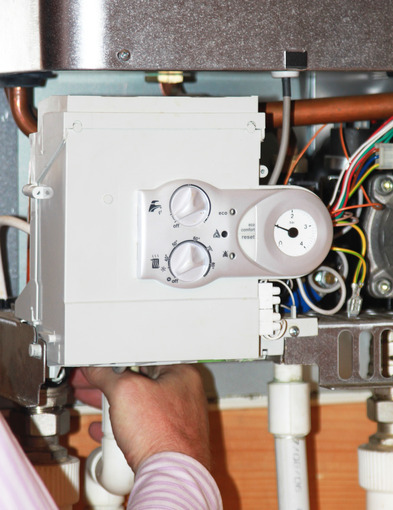 A leaking boiler is at risk of breaking down entirely and causing water damage to your home. If you see or suspect a leak, call heating professionals immediately to remedy the trouble. At Greater Comfort Heating & Air Conditioning, Inc. ®, we offer competitive rates and highly-trained technicians who know boilers from the inside of their tanks all the way to their baseboard heaters and thermostats. For problems with boilers in Alexandria, KY, we are the company to call—and you can reach us any time of the day or night. Boilers have a few major advantages in the world of home heating: inexpensive and fast installation, quiet operation, high energy efficiency, and long lifespans. One of the reasons they last so long is that boilers contain few moving parts, so unlike furnaces or heat pumps, they won’t need frequent repairs due to wear and tear. However, boilers do experience one repair issue that comes up more often than others: water leaks. In any system that uses water circulation to work, leaks are a possibility that must be addressed as soon as they occur. Modern boilers suffer few leaking troubles because of their sturdy manufacture, but leaks can still happen—especially if the boiler was improperly installed or doesn’t receive regular maintenance. If you notice leaks in your boiler, call up Greater Comfort Heating & Air Conditioning, Inc.® for help. We perform all types of heating repair in Hebron, KY, and we can patch those leaks for you and find out what’s causing them. Corrosion: Rust and corrosion is the super villain of any device where water meets metal. If your boiler starts to develop corrosion inside its tank or along its pipes and around its valves, the metal will weaken and water can start to leak out. Repairs can sometimes remove small corroded patches or replace the corroded parts, but if the problem spreads too far you may need to have the tank replaced. High pressure: A boiler should maintain steady water pressure (an expansion tank helps with this task), but a buildup of limescale and calcite along the pipes or inside the tank will drive the pressure higher and trigger leaks in numerous places. If the pressure release valve becomes blocked, it will also cause a pressure spike. You’ll need professionals to seal the leaks and remedy the increase of pressure to prevent further problems. Poor initial installation: If you inherited a boiler with your house, it may have gotten a shoddy or amateur installation. The usual trouble we see from poor installation is leaking because of bad soldering along the copper pipe fittings. You may not need a complete reinstallation—experts can often perform repairs that will get the boiler into proper shape—but this is sometimes the best option. When leaking begins, you need to act fast to stop it. Not only do leaks often warn about other problems in the boiler, but even the smallest water drip can cause structural damage to your home and encourage the growth of mold and mildew. Protect your boiler and your home’s comfort with professional heating repair in Hebron, KY from Greater Comfort Heating & Air Conditioning, Inc.® We’re on call 24 hours a day! Are you thinking of installing a new heating system in your Newport, KY home? While there are a lot of options out there for furnaces, boilers, and heat pumps, you’ll want to make sure you get the right one for your particular home and needs. Here are the pros and cons to the different types of heating systems. While most modern furnaces are efficient because of multi-stage motors and other energy-saving features, the most important factor is the output. An oversized furnace will produce BTUs that may be too much for your home, and the ductwork may not be designed to handle a high-output furnace. Gas furnaces are highly efficient, but you have more flexibility in terms of space with an electric furnace installation since there’s no need for a ventilation system. If you need a boiler replacement, it’s important to keep in mind that there are different types, namely three: conventional, condensing, and combination boilers. Conventional boilers need a lot of space for installation because of the water storage tank. Condensing boilers are more efficient because of better design and more efficient heat exchanger. Combination boilers are also highly efficient, and they can heat your water efficiently as well, which reduces your overall utility bill. If you are considering installing a heat pump, it’s important to understand how that traditional heat pumps work as a forced air system, and ductless mini split heat pumps heat with individual units. All heat pumps provide both heating and cooling for your home. However, air source heat pumps may not be as efficient in colder areas. You can install a dual fuel system that includes a gas furnace backup heater in these cases. Your heating contractor will know which one is right for your home. Call the Newport, KY heating experts at Greater Comfort if you have further questions.